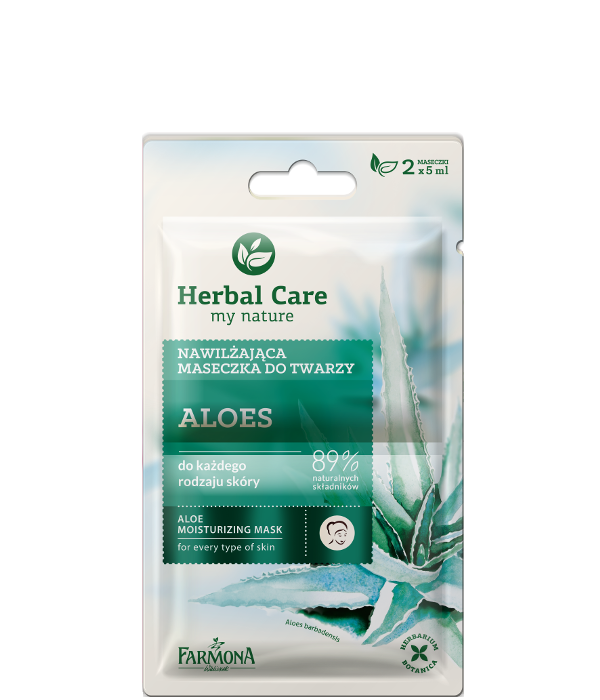 Our aloe mask is developed for taking care of dehydrated skin. 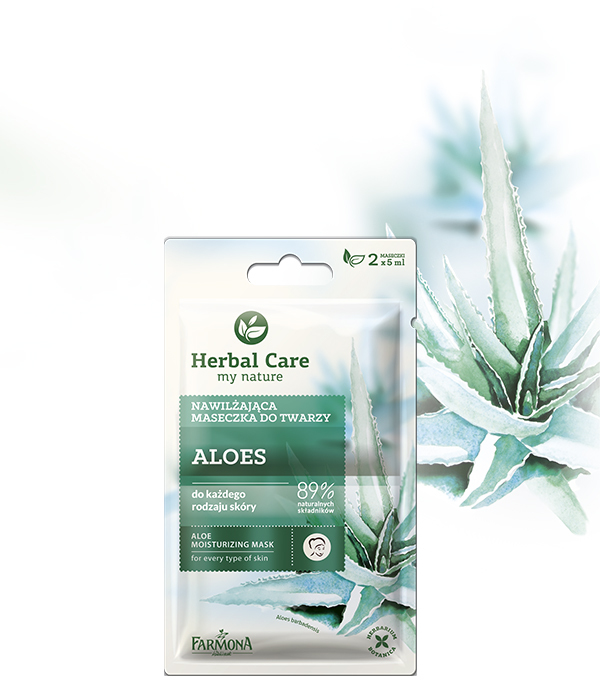 We composed it with valued for centuries natural plant ingredients that effectively supplement the deficiencies of moisture, reduce roughness and dryness of the skin and actively soothe irritations. Day by day the skin becomes more elastic and silky smooth . Creating this formula, we used all of our experience and rich herbiculture traditions, so we are confident about the results. 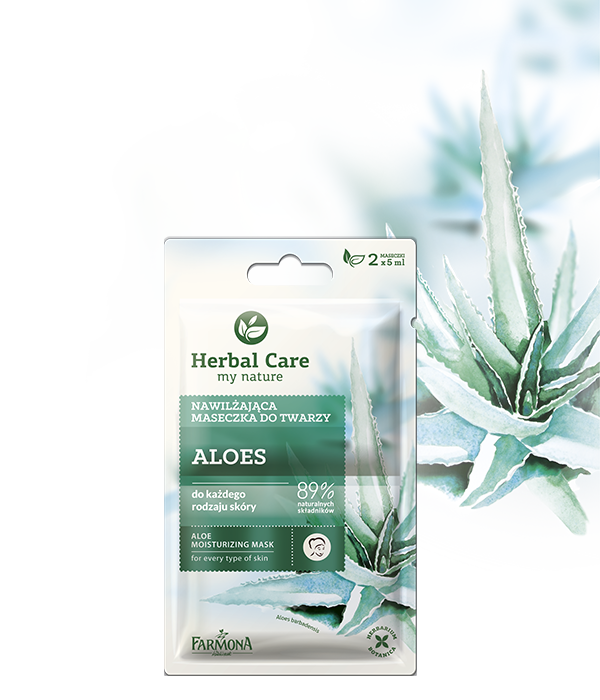 Usage: apply the mask on to cleansed skin, neck and chest. Leave to absorb. 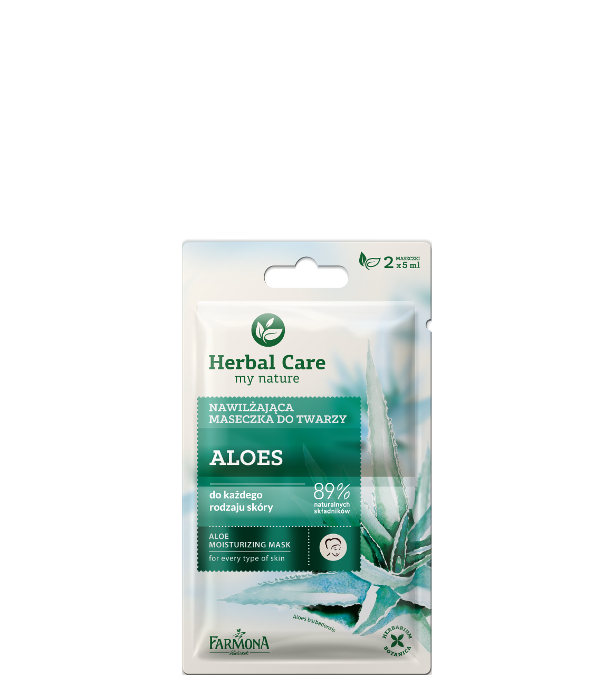 Allantoin – soothes and accelerates regeneration of the skin. Aqua (Water), Butyrospermum Parkii (Shea) Butter, Ethylhexyl Stearate, Prunus Amygdalus Dulcis (Sweet Almond) Oil, Helianthus Annuus (Sunflower) Seed Oil, Glycerin, Cetearyl Alcohol, Ceteareth-20, Aloe Barbadensis Leaf Juice, Panthenol, Sodium Palmitoyl Proline, Water Lily (Nymphaea Alba) Extract, Glyceryl Stearate, Glyceryl Linoleate, Glyceryl Linolenate, Tocopheryl Acetate, Allantoin, Paraffin, C10-C18 Triglyceride, Cera Alba, Stearic Acid, Polyacrylate-13, Polyisobutene, Polysorbate 20, Xanthan Gum, Phenoxyethanol, Ethylhexylglycerin, Potassium Sorbate, Sodium Benzoate, Disodium EDTA, Sodium Hydroxide, 2-Bromo-2-Nitropropane-1,3-Diol, BHA, Parfum (Fragrance).